Should Houston Texans fans be worried about Jadaveon Clowney? The Houston Texans superstar said he's anxious to start the season, but is he ready? 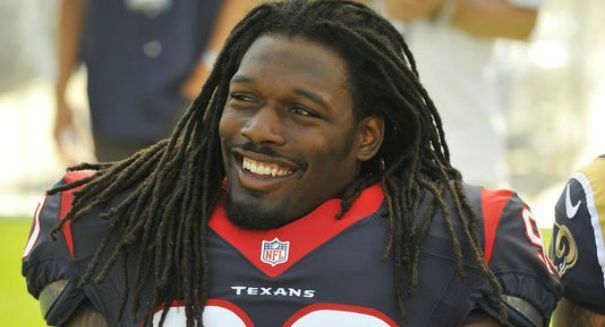 Jadaveon Clowney said he’s anxious to start the season … but there might be a reason for Texans to worry. Clowney went down with a right knee injury after debuting in the NFL a year ago, and so there are certainly some concerns about what this might do to his promising young career — after all, look what happened to Robert Griffin III after his knee injury in the playoffs. However, Clowney insisted he’s ready to go, and he’s anxious to get the season underway, according to an Associated Press report. Clowney has had arthroscopic knee surgery after that injury last year, and he eventually made it back to play in three games. However, the knee still bothered him and he was forced to get season-ending microfracture surgery. Now, the big question is, can he play on that knee without any problem, or is it permanently damaged? Clowney was in practice on Aug. 17, and he will be in Sunday’s opener when the Texans face off against the Kansas City Chiefs. Clowney, an outside linebacker, was the top overall draft pick last year, and there will be big expectations for him now that he’s back on the field in supposedly good shape. If he can be as good as fans and ownership hopes, the Texans would be perhaps the most feared pass rush in the league along with superstar J.J. Watt. As to what he has to do, Clowney said it’s important not to try to do too much other than “make plays” and “do whatever my team needs me to do,” he said according to the AP report.